Handbell score for CGA1369 Lo! Newborn Jesus. This lovely setting of Christina Rossetti's timeless Christmas text creates a wonderful opportunity for your different choirs to sing together in services of concerts. 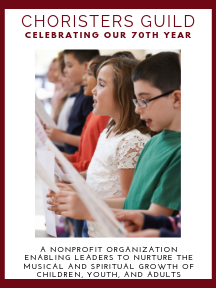 The children's choir part is simple enough and well-supported by the accompaniment that your young singers won't have any trouble fitting in with the mixed-voices. Also works with a soloist of any age in place of a children's choir. Choose to use a handbells-only accompaniment for a special treat.